Thinking of a midweek Chinese takeaway? Here is my version of a simple but moreish take on a traditional dish from Beijing. 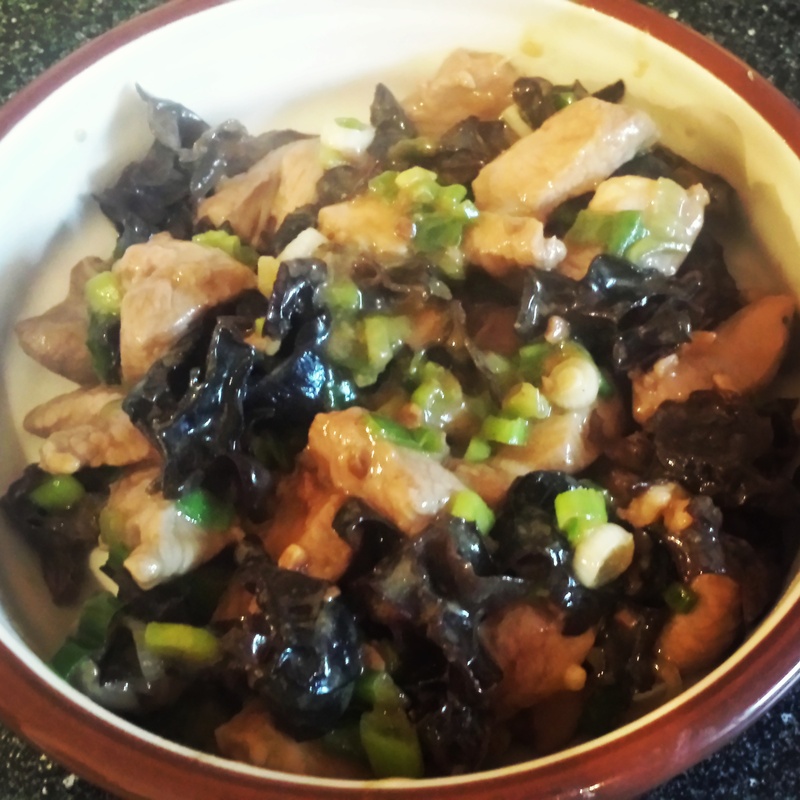 Chinese wood ear mushrooms are worth seeking it as there is no other variety like it. 1. Slice the lamb fillets into delicate, thin pieces and place in a shallow dish or bowl. Mix the sugar, soy sauce, rice wine or sherry and cornflour paste and coat the lamb in it. At this stage, if you like a bit of a tingle then add 1/2 tsp ground Szechuan pepper to the dish, or alternatively drop in a couple of whole peppercorns for a more mellow hint and set aside to marinade for 30 minutes. 2. Soak the dried wood ear mushrooms in a bowl and leave for 25 minutes. The mushrooms will expand on size so make sure they have room! When they are ready cut into small pieces. 3. Heat half of the oil in a hot wok and stir fry the lamb for 1 minute. Remove from the wok and set aside. Take the remaining oil and add to the wok. Add the spring onions, ginger, mushrooms and yellow bean sauce (if using) and stir well to combine and fry for 2 minutes before adding the lamb back in to heat through. 4. Serve in a dish and drizzle over the sesame oil. I serve this with rice on the side and Chinese greens such as pak choi or tatsoi. Try this recipe and you’ll soon forget about your local Chinese takeaway! Not a soggy prawn cracker in sight!